Convergence: coming together of distinct and separate factors or phenomenon such as technologies. For example, convergence of computing and telecommunications in modern telephony. Since the 1980s we’ve been experiencing what some call The Great Convergence. Of course, being based so close to Cambridge, a world leader at convergence, we’re well placed to benefit – and benefit we do. Indeed, SmithsonHill is all about convergence, and it’s not just our flagship project, ARC, a proposed site for AgriTech and associated sciences in South Cambridge that evidences this. It’s the way we work, including how, from day one, we built our core team to include subject matter experts across sectors and disciplines. From the start we realised that the SmithsonHill project would require a different approach to building a team. Ecologists, archaeologists, transport consultants, noise experts, agronomists, branding experts: we were going to need all of this, and more. We would need to be flexible in our approach, and know that they could work together as a team and on occasion, at a seriously challenging pace. This meant that they were going to have to demonstrate shared values and a strong work ethic. We built such a team. It comprises subject matter experts from environmental consultants ACCON UK; transport design consultancy Alan Baxter; branding and strategic communications consultancy, Cofinitive; agri-food specialists Martin Collison Associates; sustainability and energy consultancy Envision; engineering consultancy Hydrock;, public health and impact assessment consultancy Public Health by Design; planning, design and environmental consultancy Terence O’Rourke Ltd and soil specialist Richard Stock. We went to great efforts to build this unique cross-sector team of subject matter experts and two years on can honestly say we got it right. We got it right because we selected on depth and breadth of expertise and a passion for engagement. Each member, without exception, has given their all and we continue to benefit from their expertise and speed of response. You can see more about each company on our website, but today meet three of our team – Nick Guildford of Terence O Rourke Ltd (TOR), Trenton Williams of Alan Baxter and Faye Holland of Cofinitive. Nick Guildford is a technical director at award-winning planning and design company, TOR. Working on projects in the residential, commercial, leisure, education and infrastructure sectors, he has a solid understanding of development management and policy issues. Having successfully managed the submission and coordination of applications for various large scale complex proposals, including Northstowe new town in Cambridgeshire, he and TOR’s wider inter-disciplinary team have the cross-sector knowledge required for our ambitious plans. Trenton Williams is a senior associate at Alan Baxter, a multi-disciplinary design consultancy with expertise in transport, urbanism, engineering and conservation. As a practice, Alan Baxter prides itself on being independent, free thinking, inventive and pragmatic. Its work is highly regarded and at the forefront of creative endeavour in the built environment and development industry. Trenton has wide ranging transport experience, from the detailed assessment of major applications to movement strategies for regeneration masterplans and the design of public realm and interchange improvements. He is particularly interested in the fundamental role that movement plays in good placemaking and has been integral in developing our access proposals for ARC, which place a strong emphasis on sustainable travel, as well as on connecting existing communities with new walking, horse-riding and cycling routes, crossings, bridges and bus services. 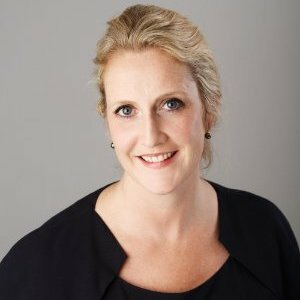 Faye Holland worked internationally in technology communications for 20 years before founding award winning communications company Cofinitive in 2015. Throughout her career neither industry, culture or international boundaries have succeeded in confining Faye and the broad experience offered at Cofinitive covers everything from brand, strategy, communications and critically important for SmithsonHill – engagement. Faye has a business of expert communicators who are truly invested in the success of SmithsonHill and ARC. Together this team will create an AgriTech site for ground breaking discoveries, whilst protecting and improving local communities’ infrastructure, transport and biodiversity.